Representatives of the NYC DOT will giving an informational presentation on safety improvements for Queens Boulevard between Yellowstone Blvd & Union Turnpike to members of Queens Community Board 6. Representatives of the NYC DOT will providing an informational presentation on safety improvements for Queens Boulevard between Yellowstone Blvd & Union Turnpike to members of Queens Community Board 6's Public Transportation/ Transportation Committee. 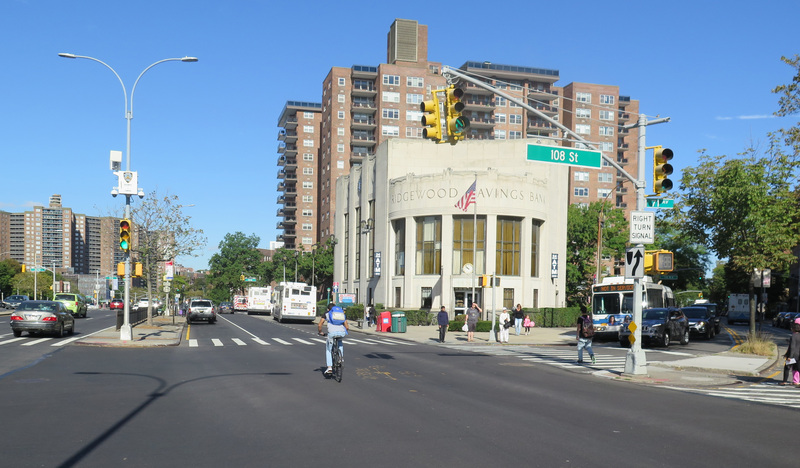 Thank you for all who participated in the Queens Boulevard online survey. 450+ people took the survey, with almost 200 of those coming within the last 2 to 3 days! The NYC DOT Street Ambassadors were talking to business along Queens Boulevard between Yellowstone Boulevard and Union Turnpike. Thanks for joining us at the 2018 workshop in Kew Gardens! Thanks to community members, residents, and business owners who joined us at Queens Borough Hall on January 23rd to share your ideas for a safer Queens Boulevard in Forest Hills and Kew Gardens!